KAILUA-KONA, Hawaii — Today, Kona Brewing Company announces it is rolling out its two most popular beers, Big Wave Golden Ale and Longboard Island Lager, in new 18-packs of cans for the first time. The new package delivers 18 delicious 12-ounce cans, enough to ensure that the entire Ohana can enjoy their favorite Liquid Aloha this summer. The 18-packs will be available beginning June 18th, exclusively in Kona Brewing Company’s home state of Hawaii. 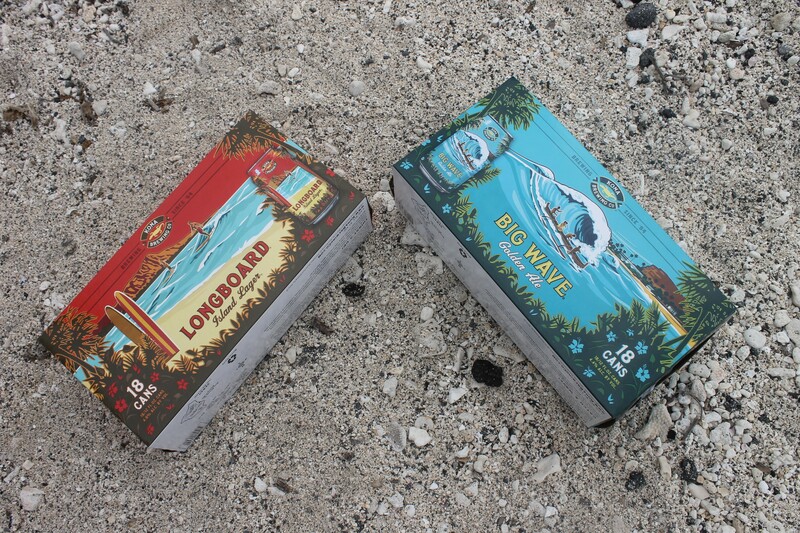 The 18-packs are now available in two top-selling Kona Brewing Co. offerings: Big Wave Golden Ale and Longboard Island Lager. With tropical hops and a golden hue, Big Wave Golden Ale blends caramel malt adds a final smooth touch for easy drinking that’s refreshing and smooth. The pale-gold Longboard Island Lager compliments these thirst-quenching flavors with aromatic hops and choice malts that honor a traditional style.